Summer is the time to slap on loads of bronzer. Especially for pale gals like me, bronzer is a life saver, to create the illusion of a tan without a lot of pain and effort. One of my favorite bronzers for the summer time is the Too Faced Sweethearts Bronzer in the shade Sweet Tea. This is a bronzer I don’t hear many people raving about and that is why in today’s review, I will be doing just that. The reason why this may not be getting a lot of hype is because it only comes in one shade: Sweet Tea. Top it off with a not so cheap price point and the fact that this contains shimmer, it just isn’t the kind of product that people are on board with in the online beauty community. At €28.99, this is as expensive as their more infamous Chocolate Soleil bronzer, but it’s the luminous finish that makes this bronzer extra special. 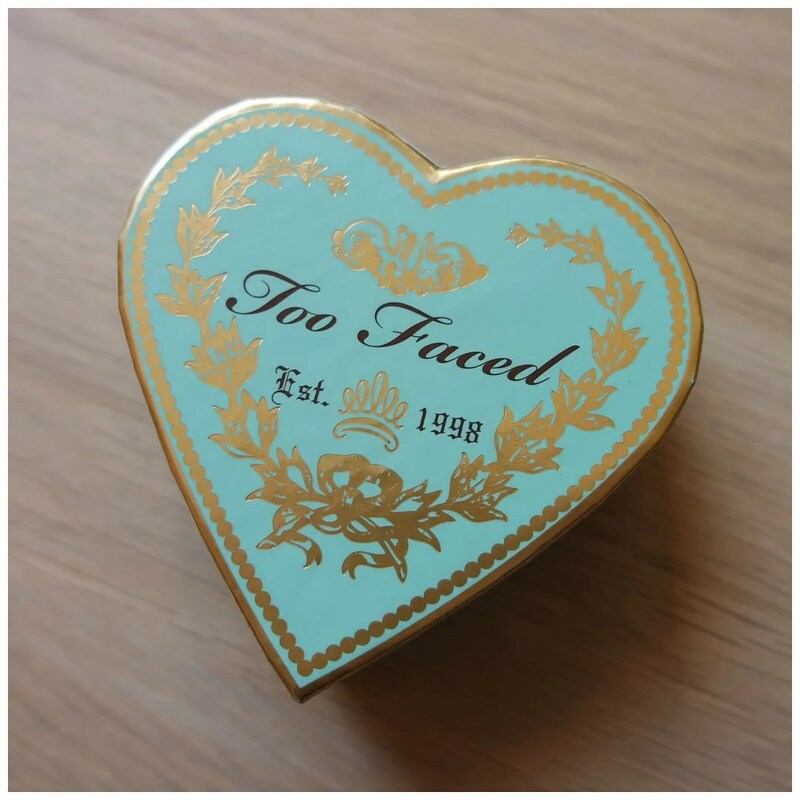 As with many Too Faced products, this bronzer has the packaging working 100% in its favor. This is where Make Up Revolution definitely stole the idea for their heart shaped packaged cheek products! It isn’t the most practical of packaging though. It is quite bulky and there is no mirror provided either. The fact that the lid slides completely off might seem handy, but it might also just mean that you lose it sooner rather than later. So what does the product actually look like? It is a split pan that has two different shades and a luminous finish. There are some noticeable shimmer particles in it, but I feel these do not translate to the cheek for me. And that’s where my love for this bronzer comes from. This creates the most beautiful glowy sunkissed finish on the skin that I haven’t seen many bronzers do. When you say glowy/ shimmery bronzer, people get scared that they will turn into a bad impression of a disco queen from the Saturday Night Fever days. This does nothing of the sort and therefore deserves more lovin’. For the swatches I swatched each shade individually, but I also swirled them together. That is how I wear this anyway: swirled together this gives the best results. 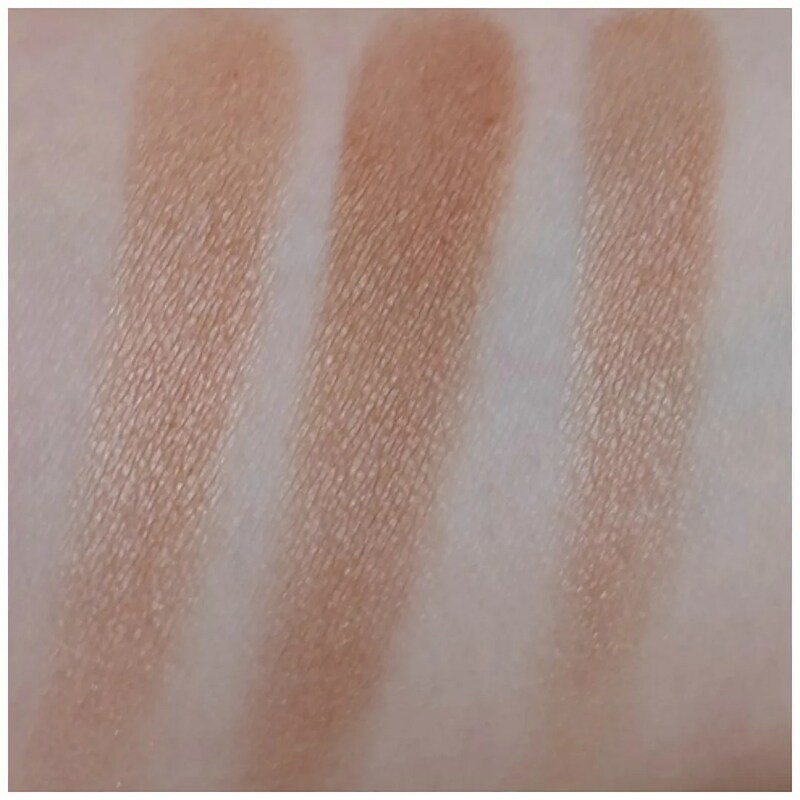 One part of the bronzer is a bit too dark for me and the other a bit too orange, but mixed together this is my perfect summer time bronzer shade. It is not too warm and not too cool toned and here you can see that this bronzer has more of a glow than a straight up shimmer. This is not one of those bronzer that could double as a highlight on deeper skin tones. What I love about this bronzer is how versatile it is: I can use the darkest shade to contour a bit, while swirled together this works great as an allover bronzer. In short, not only is it a stunning product, but it works well. And I’m not sure why, but in the summer time, I tend to spend less time on my makeup and I like products that are multi-use and fuss free. My favorite way too apply this is with a large stipple brush: that way I can never overdo it! All over you can really see the results this bronzer gives. 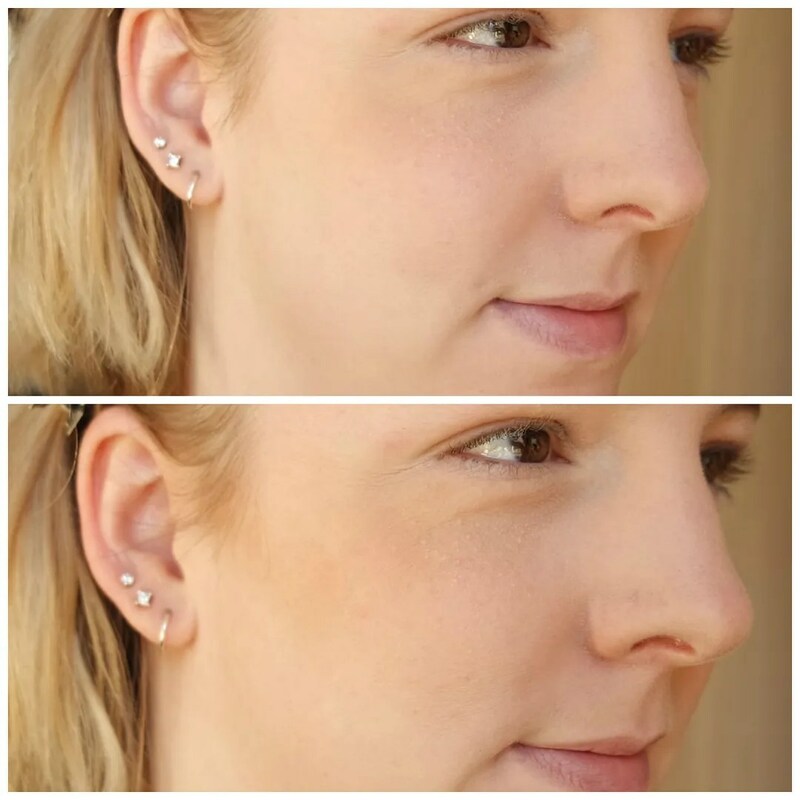 The picutre on the right just makes my face look a lot healthier and a lot less pasty. Where many bronzers fail me as they are too dark or patchy, this blends well and is nearly undetectable on the skin. I love how natural this looks on me: as if it is my skin and not a powder product applied with a brush. 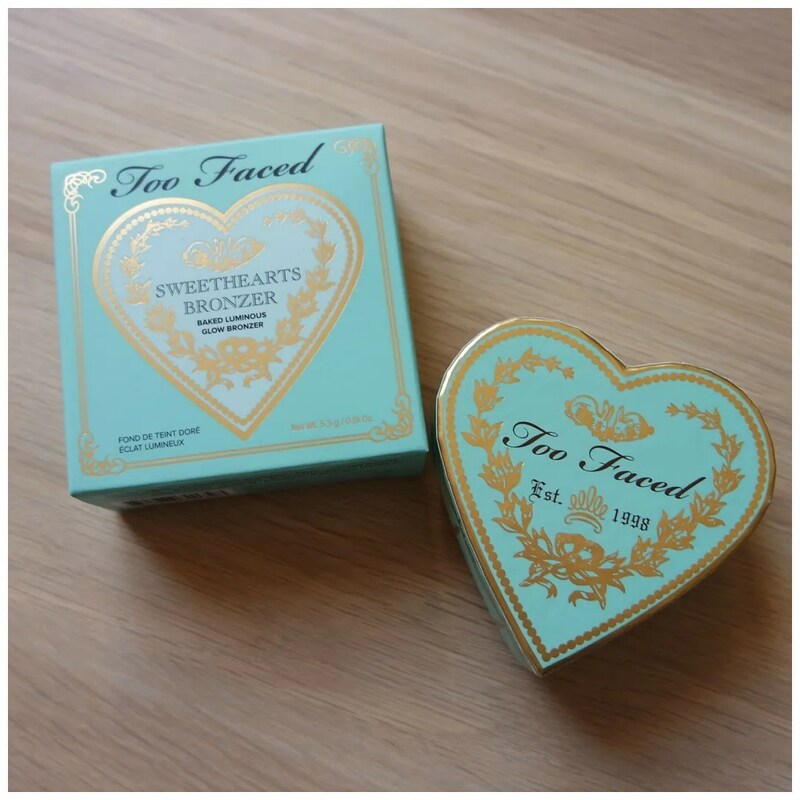 The Too Faced Sweethearts bronzer in Sweet Tea is one of my favorite bronzers for the summer time as it gives me a very natural bronzy glowy look. It does work on my fair skin tone, so if you are anything darker than a medium skin tone, I don’t think this will work for you. And that is a shame: Too Faced, please make this in at least a couple of other shades to cater to more than just light skin tones! What is your favorite bronzer to wear in the summer time? This bronzer shade is gorgeous! I have no clue if it would work for me but it is a pretty color! It looks great on you! Thanks! It is great on me in the summer time. I’m too pale for it in the winter. Oh okay that is good to know. I think my skin complexion is a litter darker then yours so hopefully I have a chance of this working for me. Bronzers are my obsession! Bronzers can be tricky at times. I have heard of people who don’t like this as it doesn’t do enough for them. Would definitely check the shade in a store first if you can. Oh yeah that would be better to check the shade first in a store! Thank you! It is a gorgeous product indeed. Great review!! 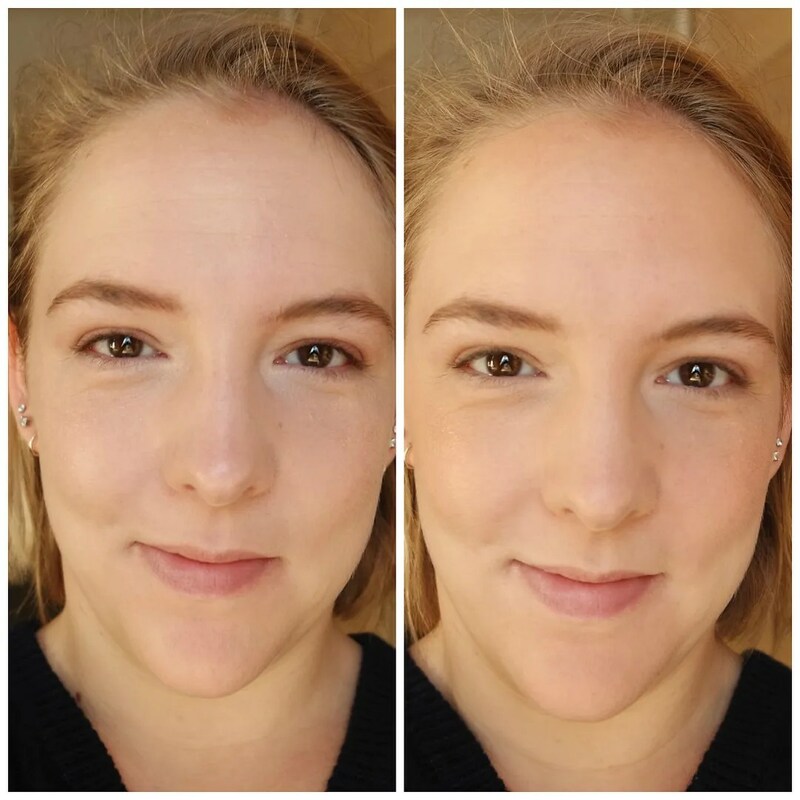 I love Colourpop’s bronzer in shade “in it to win it”, it’s my favorite summer bronzer!! I really love your eye makeup look in that last photo, it’s gorgeous! Thanks! 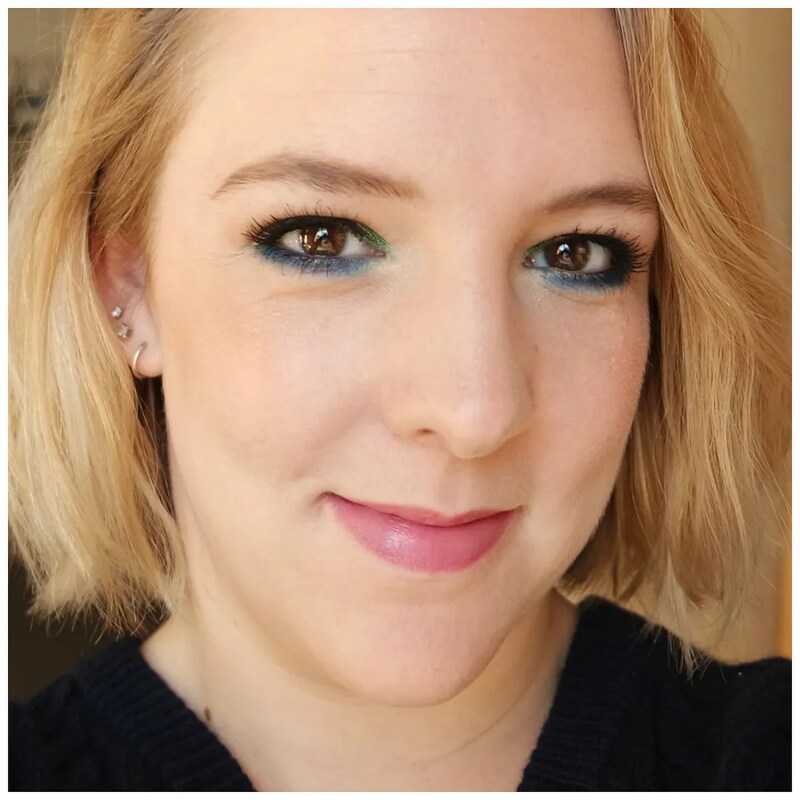 I have been loving wearing bolder eyelooks! Thanks! It is a stunning product indeed. I also love this bronzer, it adds such great dimension! However, when I’m really tanned it pulls a little too golden on me (since tans are often more red-toned), so it can give me mixed feelings. But overall, it’s such a nice product! Glad that you love it too! I love the Urban Decay bronzer for when I am more tanned. (I do not really tan, but still…) That has a much more red undertone than many other bronzers that I have tried. Truly gives that sunkissed look. I’ve been definitely curious about those! Thanks for letting me know! I also just got the Becca Sunset Waves Bronzer and that one is red toned and shimmery! You should definitely look into that one too. It’s so beautiful. I’ll probably post about it soon. A Becca bronzer is high on the wishlist. I am just not sure what shade to get yet. Oh yeah, the packaging is life! 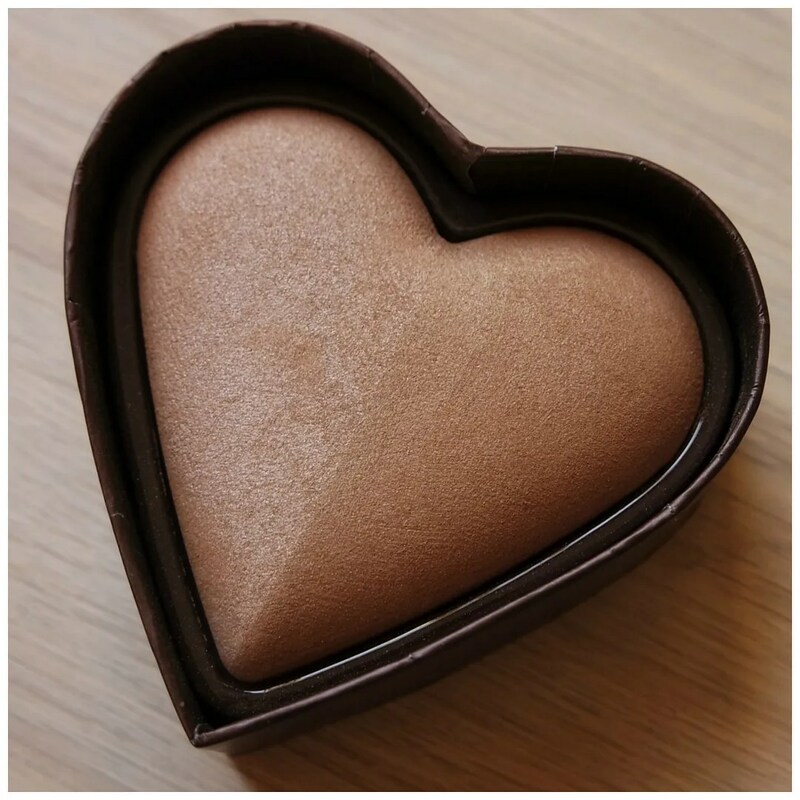 This bronzer and the Milk Chocolate one are my all-time favourites! The only critism I have is how bulky the packaging is, so it’s not one that comes travelling with me. Other than that I love it all year round! Yeah, it truly is bulky, but it does look cute!